1. Patients want an easily understood, forthright discussion about dental costs. Dental patients tend to feel that dentists want to charge them for “unneeded” procedures. Help them by discussing the difference between basic care and comprehensive dental care. 2. Patients want your practice to offer convenience. Many dental patients look for practices that offer weekend hours, and evening hours don’t hurt, either. 3. Dental patients want to see reviews by other dental patients. Online reviews on Google, Yelp, and to a lesser extent, Facebook and Healthgrades, among others, provide social proof. Get reviews. It could mean the difference between you being fully productive, and being barely above cost. 4. Patients want a clean, informative website. It’s not enough just to have some cookie-cutter website out of the year 2002. Today, patients expect a true dental professional to hire a true dental marketing expert. If you don’t, that just means you’re not serious about earning the patient’s business. This goes for your website, more than anything. Since the website is the hub of all your dental marketing efforts, it’s critical that you provide the content that patients are looking for. Do it in a modern, clean format that is user friendly. 5. Patients want to know about insurance and financing options. Of all the things dental offices seem to think the patient should automatically know, it’s insurance and financing. This is counter-intuitive because many times, nothing is more confusing for the patient than knowing if they can actually afford comprehensive dental care. Many patients just avoid the dentist altogether because of this. That’s your target market. The Dental Marketing Guy will be citing sources for all of these statements, soon. 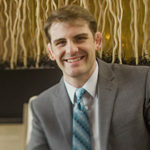 Be sure to contact the dental marketing guy, Justin Morgan, for any questions about how to increase patient acceptance.